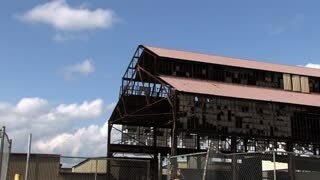 Search Results for "steel plant"
Establishing shot of Steel Mill factories. Blast furnaces of steel factory. Heavy industry, air pollution, environmental danger. 4K UHD. 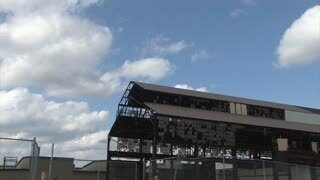 SB0026 An abandoned factory in a small rust belt town. Pittsburgh suburbs. 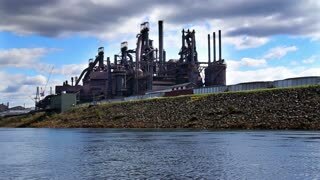 Driving through the former steel town of Aliquippa, about 18 miles north of Pittsburgh in Western Pennsylvania. Circa December, 2015. 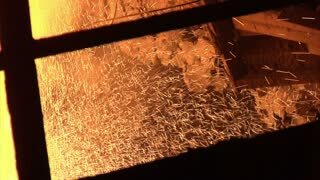 Hard work in the foundry, worker watching and controlling iron smelting in furnaces, too hot and smoky working environment. Steel mill, steel pipes production, ready pipes transported on production line, heavy industry, rolled metal factory. BELARUS, ZHLOBIN - MARCH 5, 2019: Steelmaking, the process of loading steel bars into a warehouse steel melting, cranes with magnets at work, heavy industry. 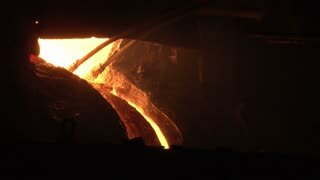 Steelmaking, metal remelting, view of pouring hot liquid metal, glowing flame in a furnace, heavy industry. Steel mill, steel pipes production, pipe transportation to the furnace, heavy industry, rolled metal factory. Steel mill, steel bars and pipe production, water cooling process, pipe transported on production line, heavy industry, rolled metal factory. Steel mill, steel bars and pipe production, water cooling process, red-hot pipe transported on production line, heavy industry, rolled metal factory. BELARUS, ZHLOBIN - MARCH 5, 2019: Steel mill, workers control the supply of hot liquid metal on production line, hazardous work on heavy industry. Steelmaking, furnace view for steel melting, the process of supplying compressed oxygen to the furnace, heavy industry. 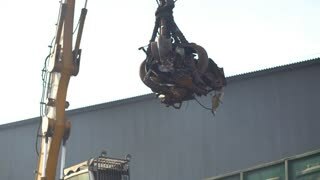 Steelmaking, the process of loading scrap metal into a tank for steel melting, gantry cranes with magnets at work, heavy industry. BELARUS, ZHLOBIN - MARCH 5, 2019:: Steelmaking, the process of loading scrap metal into a tank for steel melting, gantry cranes with magnets at work, heavy industry. BELARUS, ZHLOBIN - MARCH 5, 2019: Steelmaking, the process of loading scrap metal into a tank for steel melting, gantry cranes with magnets at work, heavy industry. Steel mill, steel pipes production, red-hot pipe transported on production line, heavy industry, rolled metal factory. Steelmaking, furnace view for steel melting, working metallurgist near the steel-smelting furnace, the process of supplying compressed oxygen to the furnace, heavy industry.